A metaphor for the struggle of the common man, or perhaps a reference to the mythical tale of Sisyphus? Nah. 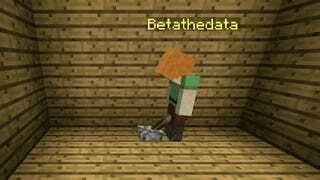 YouTuber BetaTheData's machine is merely a tribute to a skit found in the 2012 clip Bite-Sized Minecraft, itself likely a variation on your average Useless Box. 15-second video with a humorous ending below.